A BAIL hearing for a 41-year-old man, accused of murdering his wife at Devenish Island earlier this year, heard yesterday (Tuesday) that an “accident” that led to her death. Stephen McKinney of The Flax Fields, Convoy, Lifford, Co. Donegal, was charged with the murder of his 35-year-old wife Lu Na McKinney, who was a Chinese national, sometime between April 11th and 14th. Bail was refused due to the risk that he will flee the jurisdiction. 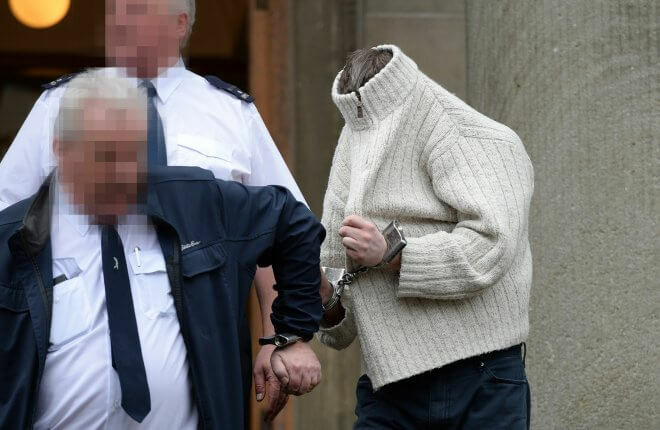 Originally from Strabane, dressed in an Aran zipped top and blue jeans and flanked by two prison offers in the dock at Omagh Magistrates Court, he spoke only to confirm his name and that he understood the charges. He was also charged with possession of the Class C drug, namely Zopiclone. The accused’s elderly parents, who are caring for McKinney’s two children in Strabane, were in the public gallery. The couple were on holiday with their children, age 11 and 14, when Mrs McKinney died in what at the time was reported as a tragic accident on a boat as a result of her going into the water. Her husband was arrested in Derry last week. A Detective Inspector told the court the couple’s children were the only other people on the boat at the time of their mother’s death. He acknowledged that their father has given them permission to speak to the police but so far they were refusing to do so. Objecting to bail, the inspector said the police considered McKinney a flight risk because he has money and property in China, where he recently visited, and has travelled extensively throughout the world. He also said there was a concern about further offending, due “to the serious nature and premeditation of this crime”. The detective added: “People have expressed a genuine fear of his actions should he be released”. Applying for bail, defence barrister Martin McCann told the court that his client had “vehemently denied the allegation”. He said: “This was an accident and was treated as one until recently”. He also stated that any suggestion by police that McKinney would offend if released was “theoretical”. Mr McCann suggested that removing the defendant’s passport would allay concerns that he might flee and if he absconded to Donegal it would not be an insurmountable situation for the authorities. He added that the couple had been married for 15 years and said the case “at its height was a domestic”. The police detective responded: “It is being dealt with as premeditated as borne out by evidence from witnesses”. He also agreed that there was no suggestion the accused attempted to avoid police or the justice system since the time of his wife’s death and that he had no prior convictions apart from a “minor” motoring matter. Defence counsel added: “The seriousness of the offence cannot be denied. He is a local man with roots in the area. He has strongly denied responsibility for the death which was an accident. The case against him is by and large a technical one”. McKinney was remanded in custody to appear at Enniskillen Magistrates’ Court by video-link on Monday next, December 11th.